Olive oil retains most of its taste and heath qualities if it is used “raw.” Most people are familiar with drizzling olive oil on their salad. It is important to carry this concept over to other foods after they’ve been cooked. Instead of only seasoning food with salt and pepper at the table, olive oil can be substituted. A small drizzle of high quality olive oil can dramatically enhance the natural taste and flavor of meats and vegetables. 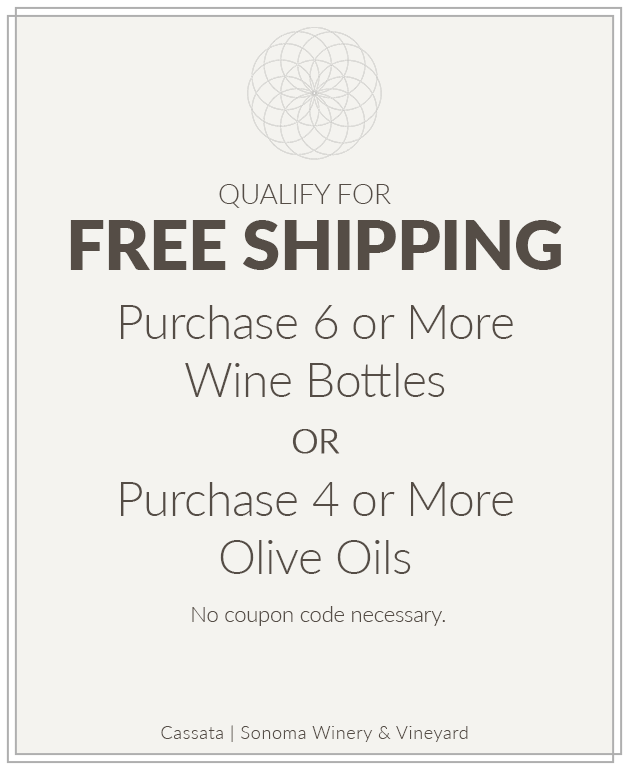 Flavored, naturally infused olive oils add another dimension to the flavor possibilities. The vinaigrettes in our recipe section can be drizzled directly onto salads. 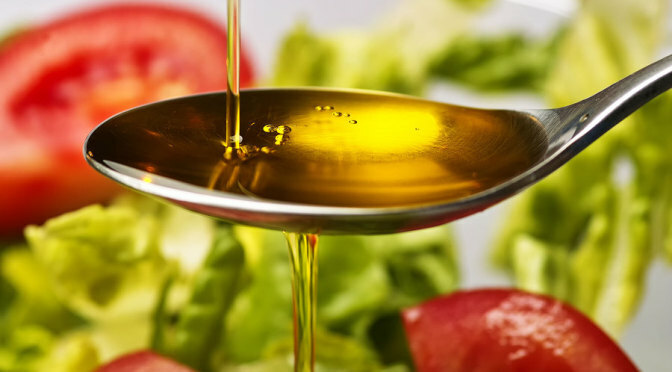 Drizzle oil on top of your pasta, meat and vegetables. Don’t forget eggs and oatmeal! Mix olive oil into potatoes, rice and grains. Another way to use raw olive oil is to marinate food. Meat and vegetable marinades can transform a simple dish into a “Wow, this is fantastic!” dish. In addition to seasonings and rubs, olive oil can dramatically enhance the flavor of food prior to cooking. The marinade that is absorbed into the surface of the food helps seal the outer layer of the food to retain taste, texture and moisture. It is also important to note that marinades can reduce free radicals that can form on food surfaces during the cooking of meats. Marinating time varies depending on the size and cut of meat or fish. Fish usually requires only an hour while steaks and chops normally take two to three hours. Roasts benefit from a couple of days. Longer marinating times require refrigeration. Marinate chicken, steaks and chops. Marinate and baste veggies for the grill. Try some of the marinades suggested in our recipe section or create your own! Cooking foods with high heat for a short period of time can enhance the flavors of certain foods. A small amount of olive oil is typically introduced into a sauté pan along with onions and garlic. The oil in the pan seals the outside of the food to lock in natural flavor and moisture. With proper heat, a minimal amount of oil is absorbed into the food. Sauté onions and garlic for seasoning while cooking a meal or prepare as a side dish for the table. Sauté fish and vegetables. An oven provides a perfect controlled-temperature cooking atmosphere. A small amount of olive oil can be drizzled or basted on meats and vegetables to coat the surface of the food so that it can be cooked at lower temperatures for longer periods of time. This oil is also absorbed into the foods as it cooks to enhance the natural flavor of the food. Besides being delicious on salads, vinaigrettes can be drizzled or basted on meats and vegetables during roasting and broiling. Slow cook roasts, potatoes and carrots. Broil marinated meats and vegetables. The use of olive oil in baking significantly cuts the cholesterol and saturated fat content of bread and pastries. It produces lighter tasting baked goods and enhances the flavor of the other ingredients. Of course drizzling olive oil on the finished baked goods is icing on the cake! Bake pizzas, biscotti, focaccia, breads, cookies and pastries. Be creative and you will be surprised how healthful and tasty your baking can be. To make food more appetizing, people use a number of cooking methods such as boiling, baking, smoking and frying. The highest cooking temperatures are reached during frying. The temperature inside fried foods remains almost constant at 212°F until its water content evaporates. At that point, the hot oil can penetrate. The food cooks quickly, and the loss of nutritional value is less than seen during other cooking methods. A crust forms on the outside of the food as a result of the reaction with the hot oil. This coagulates proteins and caramalizes the glycides. As a result, less fat is consumed during frying than with other cooking methods because the oil is not absorbed by the food. Olive oil is best suited to frying due to its higher resistance to oxidative deterioration.